The best way to experience the world's most remote and untouched dive sites is to take a liveaboard trip for a few days or week. Cruising the ocean in style, you can jump into the water from the boat onto pristine reefs with no one else there but you. This is the ultimate diving experience and one you will not forget in a hurry. 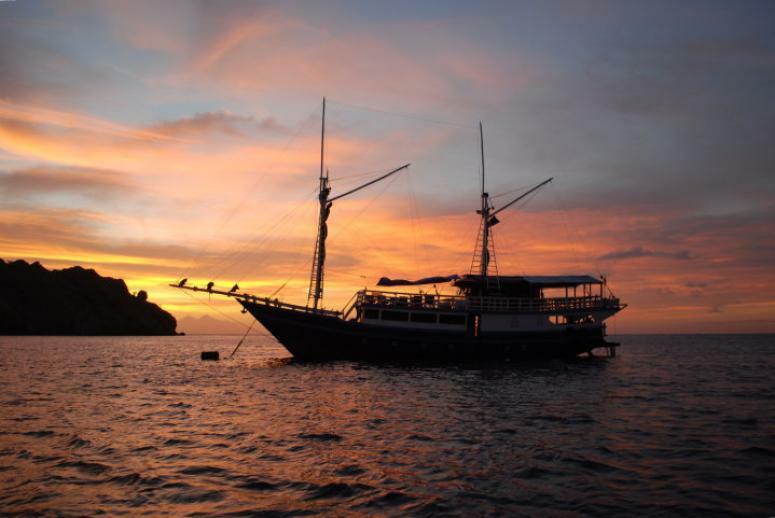 The most popular diving locations in the world usually have a liveaboard option as well. What you really want to look for though, are reefs that you cannot access on a one day dive expedition, then you know you're really getting to dive off the grid and it is almost guaranteed to be better diving. 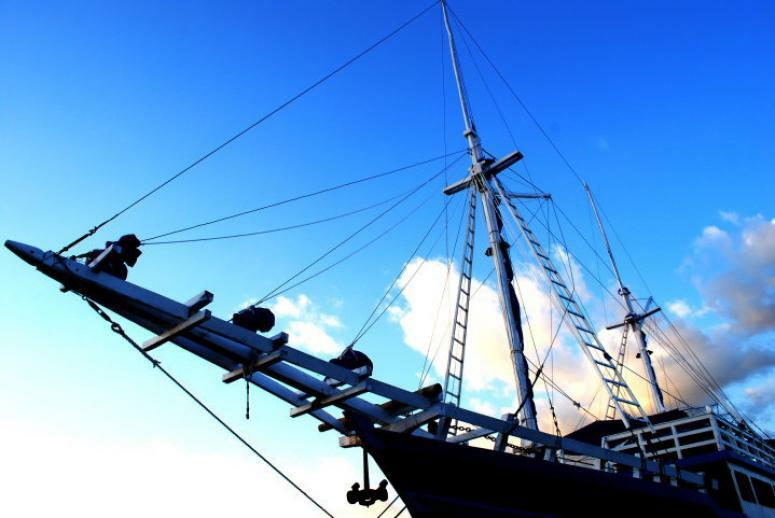 A liveaboard will usually includes your accommodation, food, equipment (if you don't have your own) and up to five dives a day, including a night dive. They can be quite expensive but if you think about getting everything included, some trips work out to be very economical. Let's start with one of the most famous liveaboard dive destinations in the world and probably the number one place to see schools of hammerhead sharks: the Galapagos Islands in Ecuador. There are 19 islands that make up the Galapagos but only two of these islands are accessible by liveaboard, meaning dive traffic is minimal and your dive experience is maximised. These islands are Wolf and Darwin Islands. It is recommended that you are at least an advanced diver to do these dives due to strong weather conditions and currents. There are a few sites around each island but the best site on Wolf Island would have to be Landslide, and the best on Darwin Island is Darwin's Arch. These sites are teaming with hammerhead sharks, whale sharks, the rare Mola Mola, loads of big pelagic fish and maybe even dolphins or whales, along with the dramatic underwater topography, this is the ultimate of world class diving. Another fantastic liveaboard destination is the Cocos Islands, which lie 550km off the coast of Capo Blanco in Costa Rica. There are 20 sites around the islands and this area would probably be one of the best shark diving locations in the world with around 8 species in abundance and numerous ray species, this national marine park is one of kind. The Bajo Alcyone seamount would have to be the best place for hammerheads and Dirty Rock is another great shark dive with Marbled Rays and huge schools of fish. 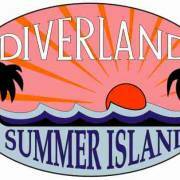 Most of the dive sites are only suitable for advanced divers, but the diving at the Catalina Islands are suitable for beginners and sea life is a plenty with many rays, sharks, eels, barracuda, turtles and lots of reef fish, it's a beginner diver's dream! Malpelo Island in Colombia and Coiba National Park in Panama are another two very fine liveaboard destinations off the coast of South America and also know for their incredible shark and big pelagic diving. These incredibly remote locations hold some of the best diving you'll ever do and not many people will ever dive these waters. It's an experience of a lifetime. Australia is home to the largest coral reef in the world: The Great Barrier Reef area is a top liveaboard diving spot. Most trips leave from Cairns or Townsville and will travel out to the Ribbon or Osprey Reefs. It's best to book well in advance due to the popularity of these trips. The Ribbon Reefs are full of colourful corals and reef fish, are shallow and have excellent visibility, making this a great location for all levels of diver. The highlights are Cod Hole with the friendly, 60kg Potato Cod coming right up to feed from your hand and swarms of other fish such as trout, triggerfish, trevally and sweetlips trying to get in on the action too. Steve's Bommie is another famous site with big schools of fish, cool macro critters, sharks and maybe even a Mink Whale if you're lucky. The Temple of Doom is a haven for sharks and rays. The Osprey Reef is located 350km off the coast of Cairns and has a mixture of lagoon and wall diving, the drop off here reaching 1000 metres deep so this area has something for every level and interest. The huge, pristine corals are over 2 metres high, along with sharks, turtles, manta and eagle rays, whale sharks, dolphins and even whales have been sited in the area. The North Horn dive site is the highlight for many species of sharks and Admiralty for its walls, caverns and great visibility. This is some of Australia's best and most untouched reef diving. 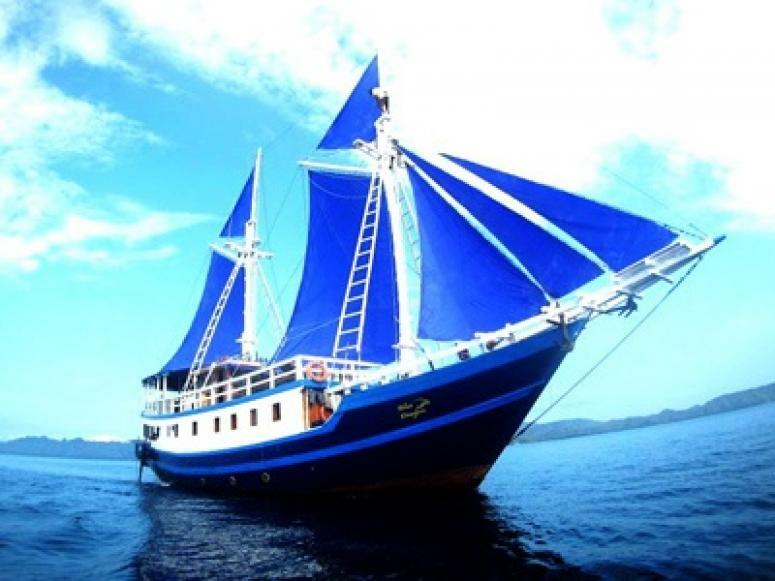 The best livaboard diving in Thailand is around the Similan Islands which was established as a national park in 1982 and consists of 9 islands. The best sites in the area are Elephant Head Rock with its stunning topography and sea life such as groupers, turtles, reef sharks, trevally and many different reef fish and corals. Christmas Point is another cracker full of granite boulders, arches and swim throughs great for finding cool macro critters and look out into the blue for the big stuff such as sharks and jacks. 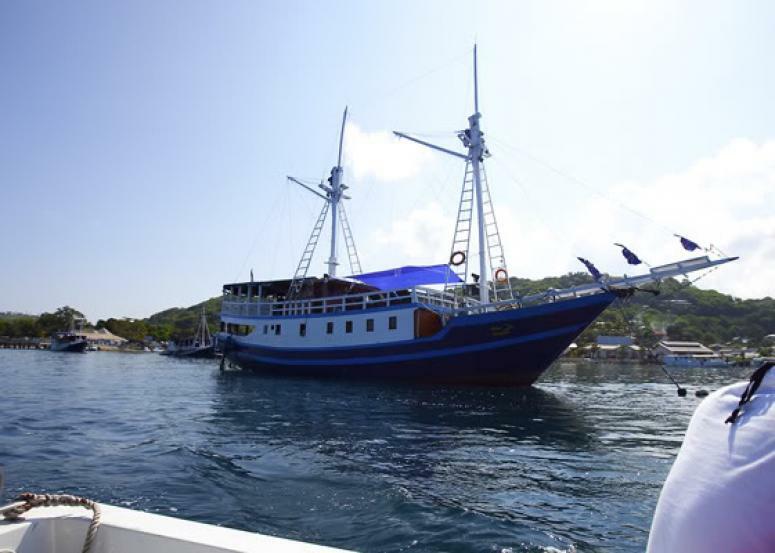 Koh Bon is the place to dive with manta rays and Richelieu Rock for its whale sharks. 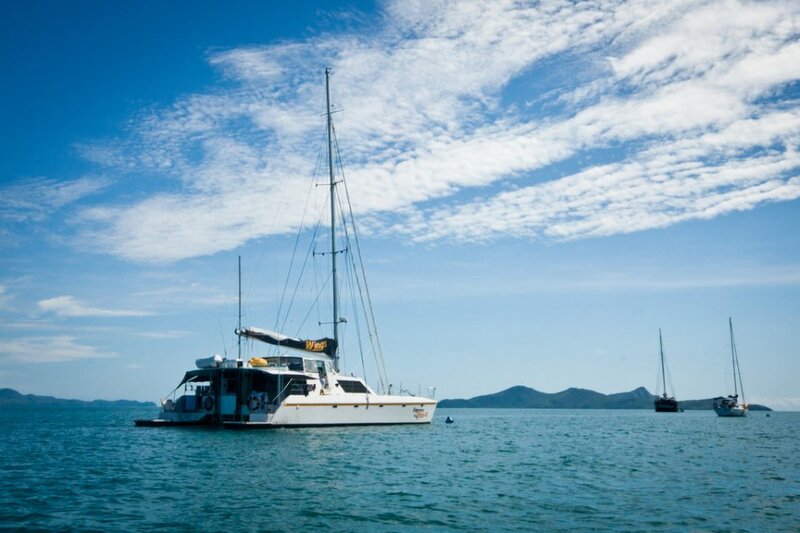 Other liveaboard trips in Thailand include Hin Deang and Hin Muang in the far south of the Andaman Sea which is the highest vertical wall in Thailand at 60 metres. From macro life to the impressive whale sharks and manta rays, this area is a photographer's dream. The remote Surin Islands in the far north are no so frequented by divers so the reefs are very healthy and you can get up close to the Napolean Wrasse and Bumphead Parrotfish as well as sharks, turtles, guitarfish and the ghost pipefish. These are some splendid diving opportunities in the Thailand waters. Burma is still fairly unexplored due to the political problems in recent years but is fast becoming a popular liveaboard destination. Far from the crowds lies the remote the Mergui Archipelago, which consists of about 800 islands and you can enjoy all sorts of diving such as walls, pinnacles, tunnels, caverns and gorgeous untouched reefs. Mergui Archipelago is wall diving at its best with mantas coming in from the deep blue to tantalise your eyes and all sorts of interesting macro creatures on the corals to find. Fewer boats venture to this area so if you're looking for quiet, this is the place for you. The Southern Mergui and Burma Banks areas are great for shark encounters and have some wonderful dive sites to explore. Some companies offer a Southern Burma and North Thailand cruise combination. Probably some of the best macro diving in the world lies in Indonesia, and liveaboard trips are the best way to enjoy the diving around the country's 13,500 islands. 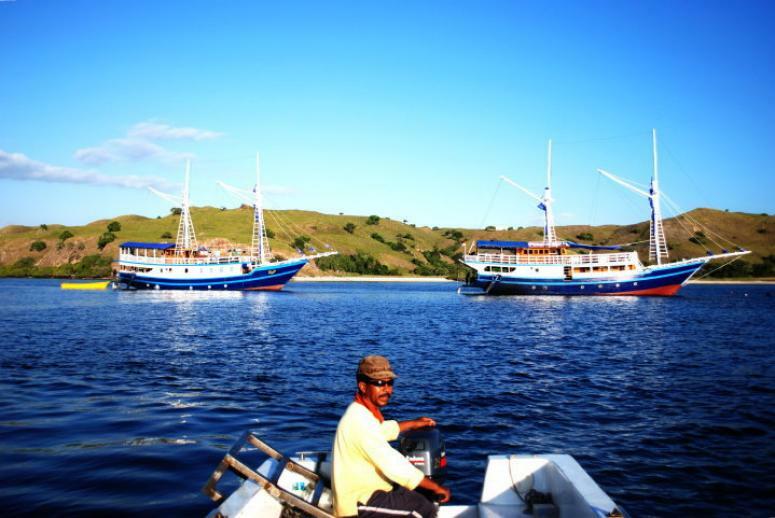 The Banda Islands in the central region are known for their impressive schools of fish. 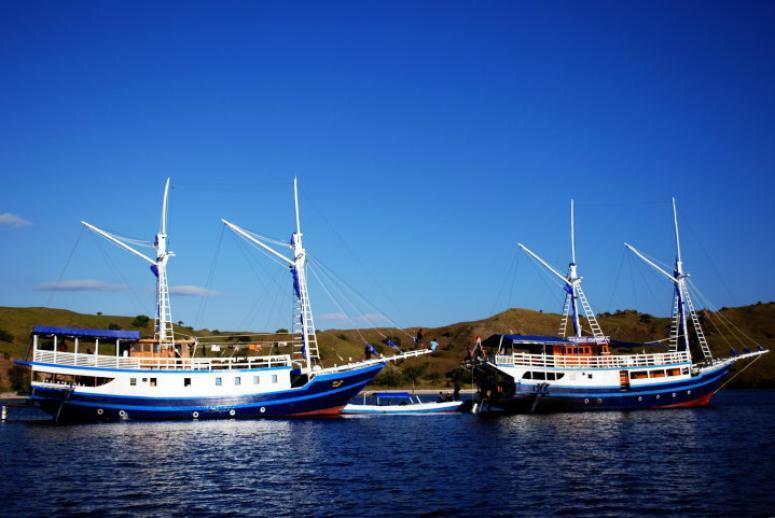 The best sites around the islands are Gunung Api, Palau Ai, Batu Kapal and Nusa Luat. 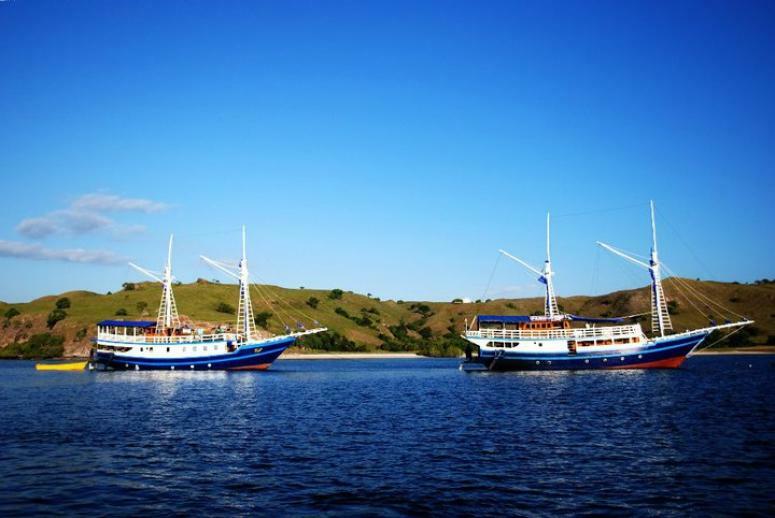 Komodo National Park, also in Indonesia, is another heart stopper with underwater landscapes and amazing varieties of sea creatures like no other place in the world. Tatawa Island, Red Beach and the Yellow Wall of Texas are must see sites. Raja Ampat in Irian Jaya is the talk of the liveaboard diving town with fabulous diving at Fabiacet and Farondi Island, you're going to see things you've never seen before, in abundance... if you can find the sneaky critters. Manta Ridge off Mansuar Island is probably the best manta ray dive on the planet. 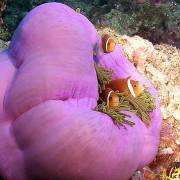 The famous Tubbataha reef in Philippines is a must, only accessible via liveaboard. The reef, located half way between Borneo and the Philippines archipelago in the Sulu sea is unique in coral and marine life. However due to rough waters it is only accessible from the months of March to June . Easily accessible via liveaboard from Philippines are the islands of Palau, in Micronesia, which consists of over 200 islands located in the heart of the coral triangle and features more than 700 coral species, a diver's paradise! 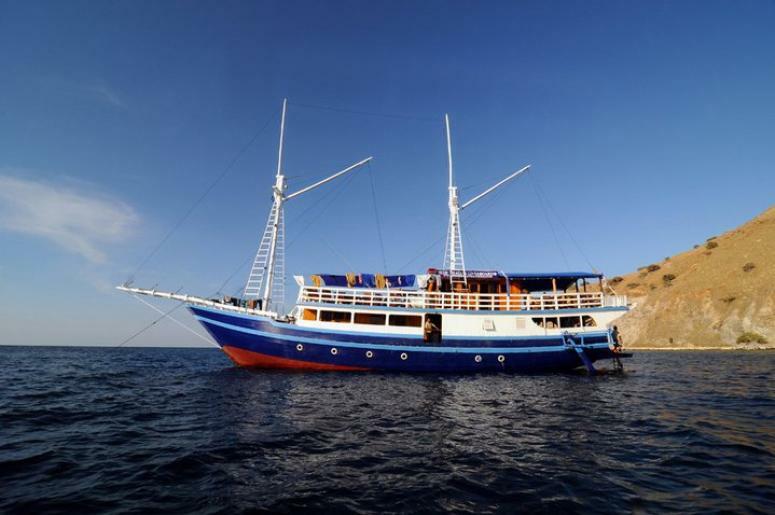 The Red Sea is full of liveaboard options, the most popular being in Egypt where you can explore the amazing wreck of the SS Thistlegorm, Ras Mohammed National Park or the more remote areas of the Brother Islands and Daedalus Reef. If adventure is really your thing then trying to get a liveaboard in countries such as Sudan, Yemen, Eritrea and Djibouti will have you diving in sites that not many people have had the opportunity to see. You'll find liveaboard diving at its best around these areas. The Atolls of the Maldives offer phenomenal liveaboard diving and you'll be left wanting so much more of this great location. 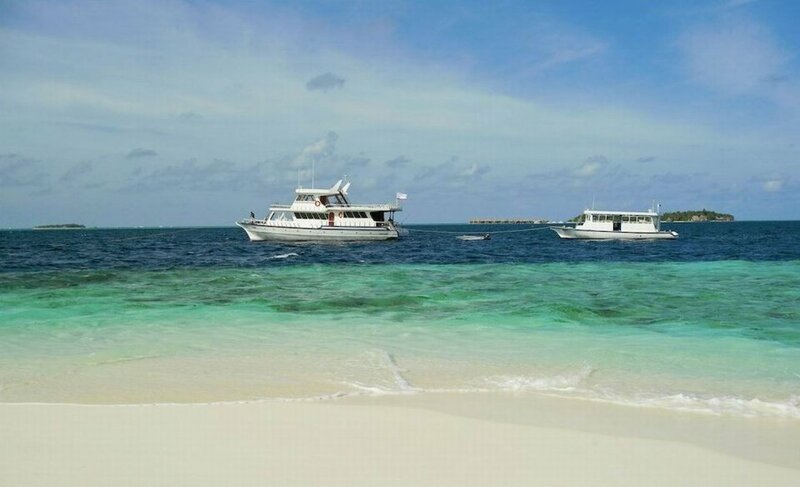 Most of the boats head to the areas of South Male, North Male and Ari Atolls but if you get a trip further north to the atolls of Baa, Raa, Noonu and Lhaviyani then you'll find you're the only people diving here and there isn't another boat in sight. Big schools of fish, mantas, sharks, swim throughs and overhangs are all features of this great area. The Maldivian far south is also another secluded spot for a remote liveaboard location. The Meemu Atoll is the place for whale sharks all year round and rays of all different shapes and sizes. Reef sharks parade around Laamu Atoll and Vaavu Atoll and the best night dive can be found around Thaa Atoll. 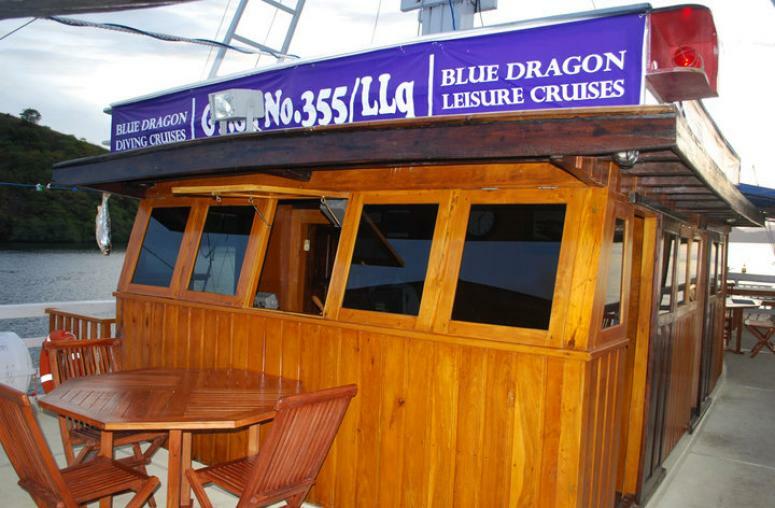 You'll have a fantastic dive experience on your liveaboard in the Maldives. A special mention goes out to the liveaboard diving in Fiji, around Bligh Water and the Koro Sea and Taveuni, Kio and the Ringgold Atolls. 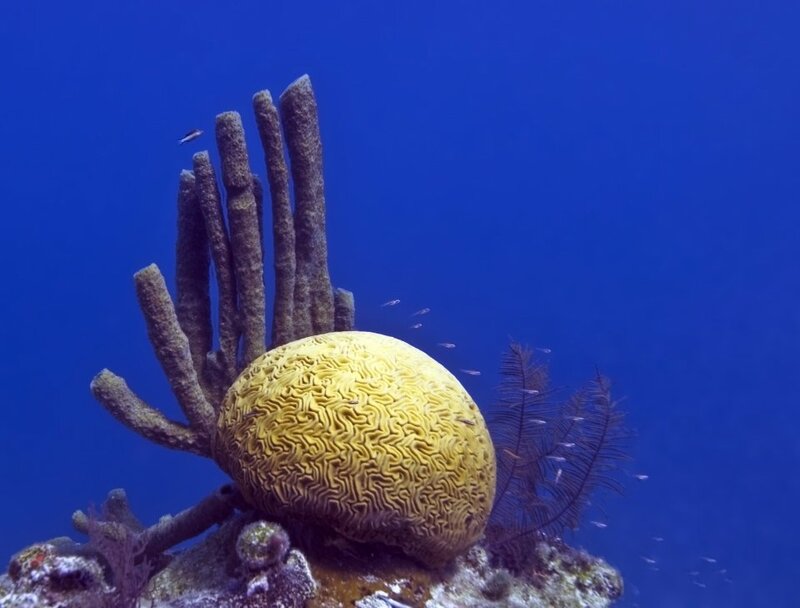 Belize is also a popular destination because of the Blue Hole and Lighthouse Reef. Trips also visit the Turneffe Reef Atoll. 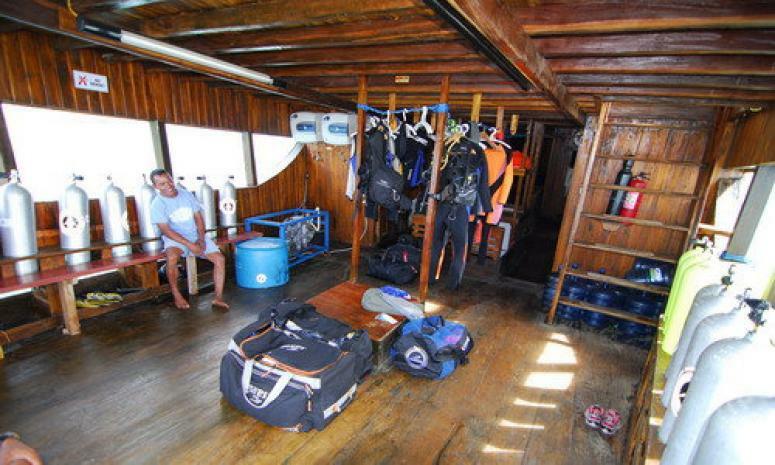 So these are some of the world's best liveaboard dives in a nutshell. Have you found any other places worth a mention? If so drop us a line with your recommendations. Now you can start your liveaboard adventures, keep us posted with your favourites and happy diving! Diving in Rasdhoo and Ukhulas will be a half day trip. Divers will leave early morning ETD at 06:00 hours to catch the early morning best dives after the 1st dive local breakfast is provided on Rasdhoo Island. Water and towels are provided on the boat. ETA 12:30 hours back to Thoddoo Island.